﻿ Champaign Aviation Museum - Ohio. Find It Here. 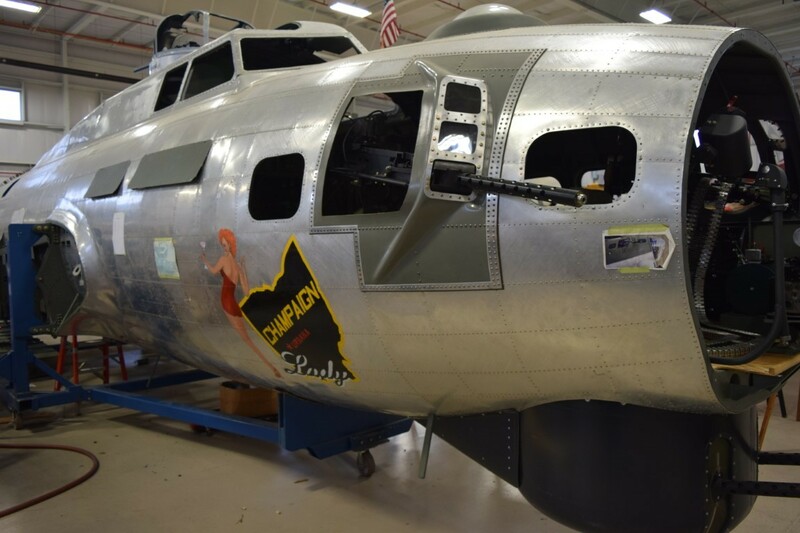 The Champaign Aviation Museum is restoring a WWII four-engine B-17 Flying Fortress back to flying condition. The restoration is being done by volunteers from all around Ohio. You can talk to and watch the volunteers work on the aircraft restoration. 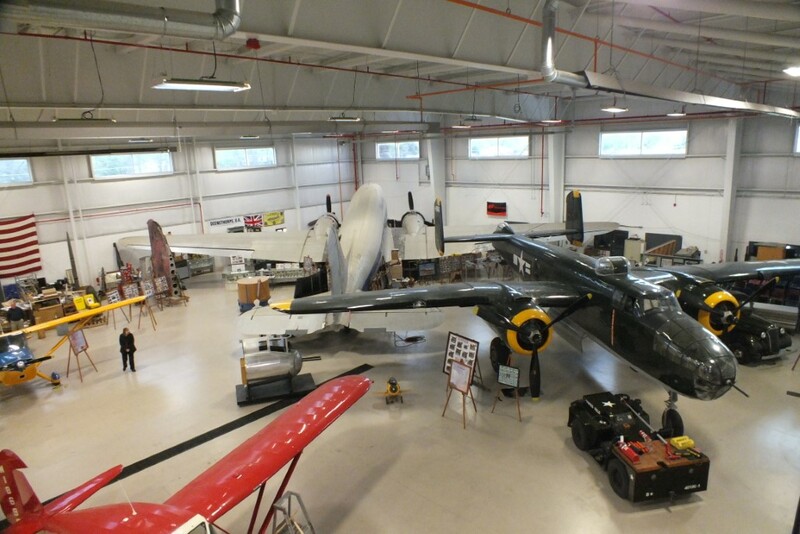 The museum also has a flying two-engine B-25 Mitchell which was made famous by the Doolittle Raid during WWII. Visitors can enter a WWII C-47 cargo airplane which is waiting for restoration. Other aircraft in the hangar can be viewed in various states of restoration.